Adrian Delia with some of the members of his parliamentary group. Embattled Nationalist leader Adrian Delia has still not called a meeting of his parliamentary group despite the fact parliament will reconvene on Monday evening after the Christmas recess. In a message to MPs, party whip Robert Cutajar provided details of the evening's agenda and the PN deputies who are expected to intervene during the session. However, no details have been given as to whether a meeting of the group will be called later on the day, as is usually the case before parliament starts meeting after a long recess. Times of Malta last week reported that Dr Delia is avoiding calling on the group amid speculation that following the latest claims about his private and public affairs, most of his deputies have lost trust in his leadership and want him to step down. So far, only a few PN MPs have publicly declared their confidence in Dr Delia’s leadership with the majority of deputies either staying silent or else were conspicuous by their absence during party activities. 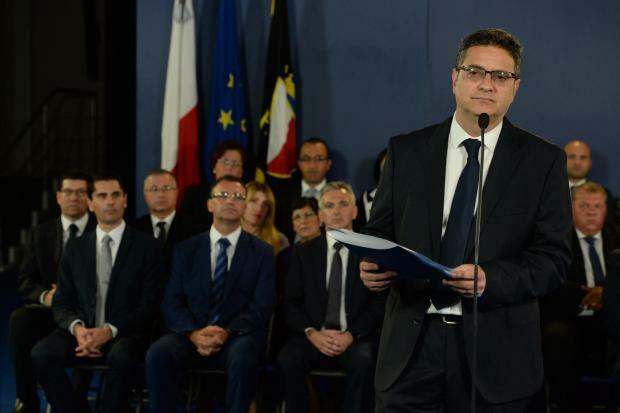 Times of Malta is informed that the majority of PN MPs have declared privately that they will be ready to sign a declaration expressing their distrust in Dr Delia’s leadership and asking him to make way for a new leader. Such a declaration, if it materialises, will mean that the President of Malta will have to nominate a new leader of the Opposition after consulting the opposition’s parliamentary group. This includes Democratic Party MPs Godfrey and Marlene Farrugia, who so far are the only Opposition MPs so far calling for his immediate resignation. Dr Delia publicly declared that he has no problem with confronting his MPs and claims that he still enjoys confidence of the majority. However, against normal practice, he has still not set a meeting of his group and is being advised by his closes advisors not to call a secret vote of confidence among the PN’s parliamentary group. The last time the group was reconvened was at the end of last year for the sole purpose of meeting Corinthia Group officials for a presentation about the controversial St George’s Bay peninsula project. In an rare move, Prime Minister Joseph Muscat defended Dr Delia on Sunday, stating his election as PN leader should be respected.